Nancy Power is to landscape what Frank Gehry is to architecture or Bunny Williams to interiors a master, a visionary, a seasoned professional at the very pinnacle of her craft. The designs Power creates whether for parklands, playgrounds, or private sanctuaries reflect the meticulous attention she pays to each place’s particularity and to the desires and living patterns of those who will use and enjoy her gardens. Nancy Power is to landscape what Frank Gehry is to architecture or Bunny Williams to interiors a master, a visionary, a seasoned professional at the very pinnacle of her craft. The designs Power creates whether for parklands, playgrounds, or private sanctuaries reflect the meticulous attention she pays to each place’s particularity and to the desires and living patterns of those who will use and enjoy her gardens. From residential gardens in Beverly Hills and Malibu to street planning for downtown Los Angeles and play zones for the Pasadena Children’s Museum, the selection of Power’s work in this beautiful book reveals her multidimensional aesthetic. Her approach can range from the lavishly leafy to the meditatively restrained, from the comfortably homey to the superlatively (though always quirkily) formal. But no matter what the look, no matter who the client, each of her projects reminds us of the power that gardens have to refresh the body, center the mind, and liberate the spirit. 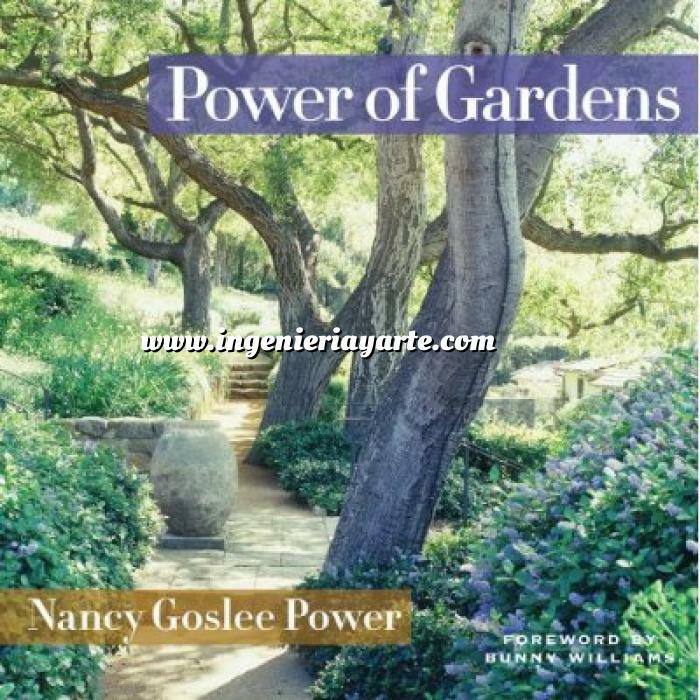 “Nancy Power is a very special landscape designer. Her understanding and love of plant material makes a big difference to her designs. I trust her judgment implicitly and I love working with her. This book shows the best of her gardens.